In less than one week, digital marketers from around the world for Search Marketing Expo (SMX). 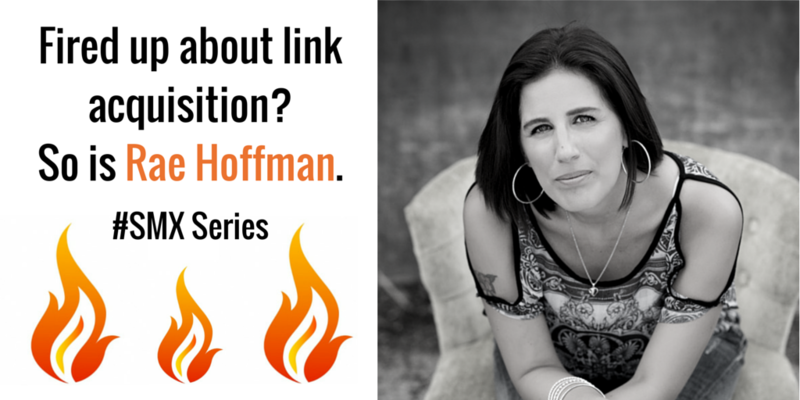 Today, we’re excited to talk with one of SEO’s most fiery females and SMX speaker: Rae Hoffman, CEO of Pushfire and master of affiliate marketing and link acquisition. If you’re headed to SMX, you can catch her in “Penguin Penalty Prevention: Link Acquisition & Audit Techniques You Need To Know” on March 4. Here Hoffman shares the tools she’s using for link audits and analysis today, and describes her firm belief that the most effective Internet marketers stay “in the trenches.” No doubt you’ll find her insights on link acquisition strategies that work thought-provoking, and may relate to her opinion of Google’s most unfair update. Some actionable recommendations for dealing with duplicate manufacturer content on affiliate sites are in here, too. Kristi Kellogg: You’ve been an online marketer since 1998. That’s many Internet moons of experience on SEO, Google, link building and what ranks. 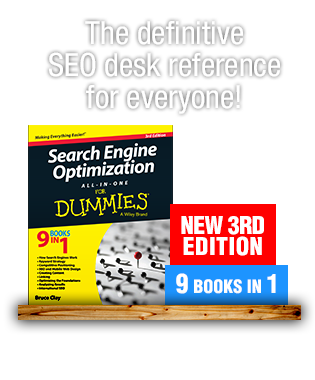 Are there any tactics you’d categorize as “SEO classic” ━ things that work today that worked in 2000? Rae Hoffman: Now I feel old. Ha. I think several of the SEO basics still work – like title tags and making your site technically sound from a crawling perspective. And spam still works, though the punishments have gotten more severe. And creating good content still works. Though what “good content” is has changed. (Tweet this!) You know, I heard a discussion the other day that wasn’t about search, but it applied to marketing websites. It was a podcast by Adam Carolla, and he was discussing how several classic TV shows weren’t great TV shows, but rather simply made it because the programming options were so limited. When I was a kid, we didn’t have more than 20 channels. There weren’t a lot of options once you removed niche channels like news and weather – so the most decent option on whatever number of channels were left won. But, with 200+ cable channels now and the Internet, what constitutes “good television” has changed – big time. Being on ABC during prime time isn’t enough to make a hit show anymore. It helps, but it’s no longer a guarantee. Likewise, being able to rank in Google isn’t enough to build an online business anymore. As I’ve said before, Google doesn’t want to make websites popular; they want to rank popular websites (Tweet this!). KK: You recently tweeted: “The minute you think you’re ‘above writing title tags,’ feel free to slap yourself in the face … #StayInTheTrenches #NotSittingOnBenches.” Why is it so important to stay hands-on when it comes to digital marketing? RH: Because otherwise, you have no idea what works. If you work with big brands and only big brands, then you have no idea what’s going on in the “real world” of search – where other 95 percent of businesses live. When you aren’t hands on, then you have to take the word of others. If you’re lucky, those “others” know what they’re doing. More often lately it feels like one person says what sounds good and sounds like it should work. But they’re so busy blogging eight times per week and promoting their company that they haven’t tried it. But, it sounds good. And it’s in line with what Google says. So, let’s roll with it. And then ten more guys with high profiles who like that guy and also aren’t in the trenches themselves say, “that sounds plausible,” and they begin to state it as fact. Before you know it, half the search community is spouting this theory as fact and people in the trenches feel stupid because they can’t make it work. Because it doesn’t work and if you tried it before you gave a presentation on it at a conference, you’d know that. That’s not going to be a popular answer, but it is what it is. KK: At SMX West you’re speaking on avoiding questionable link acquisition techniques. What tools do you use in a link audit? KK: What are good link acquisition tactics today? Can you maybe share two money ideas for attracting or inviting quality links? RH: “Good link” acquisition – to me – centers around exposure strategies that get you publicity and exposure to your target market (Tweet this!). Google has done their best to kill linking tactics. What still works as far as “tactics” you won’t find being “shared,” because then it stops working. If you hear about a “tactic” that is easy to replicate, it either no longer works or soon won’t work. Solve problems. That’s my number one piece of link acquisition. What “solving problems” will mean will vary by industry. But you need to solve problems for your target user base. 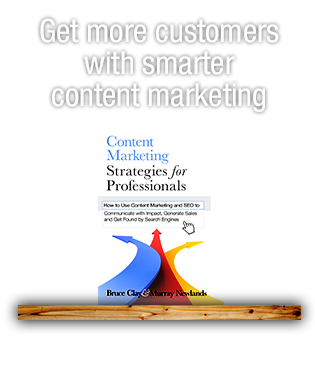 Just like your product or service needs to solve a problem, so does your content. Of course controversy, creativity and being “first” with any idea goes a long way. But the typical commercial website can’t do those kinds of initiatives every day. So, for the long haul, solving problems is a defensible strategy – both for your business as a whole and your link acquisition strategy. KK: While your session is on avoiding Google Penguin, I read that your least favorite Google update is Panda. Affiliate websites are a big target of Panda. What do you recommend if a site has thin or duplicate manufacturer content? RH: I hate Panda – because it’s arbitrary and often inaccurate. It’s one thing to not reward a site for stuff that you believe is an attempt at deception (thin content simply to rank). It’s quite another to make it impossible for them to rank well because you believe you’ve found an attempt at deception. I see more innocent victims with Panda – especially e-commerce websites (which are similar to affiliate sites in the data feed aspect) – than I do deserving ones. There are only so many words I can write about a pair of black socks. Google always tells us to build site content for users and to ignore search spiders – and then it comes out with an algorithm that has manufacturers writing product descriptions for search spiders. It’s hypocritical at best and reckless at worst. These are people’s livelihoods. As far as recommendations – creating a hefty amount of value add and truly awesome content goes a long way to lowering the percentage of thin product pages your site has. Condensing product pages into one page that don’t need sixteen separate pages (meaning not having a page for pink [product] in small, pink [product in medium], blue [product in small], etc.) is another common recommendation I have to make. I’d also stress the importance of not using the same data feed to populate your site as you give to your affiliates and external shopping portals like Amazon or Shopping.com. If you’re an affiliate, keep in mind that the merchant provides that same data feed to 10,000 other affiliates. Affiliates should also keep in mind that they can have a “store” without opening the entire thing up. Sometimes disallowing access to product pages, while allowing access to categories and non-shopping site content can allow you to have your cake and eat it, too. KK: You’ve built many affiliate sites from the ground – key to their success is a strong following. Can you share a few tips on building a brand new brand’s following? RH: Focus on finding people, and you’ll naturally put out the signals to please the engines. If you launch a site and you think “I need to start getting this links” instead of “I need to start getting this traffic” then you’re doing it wrong for the long-term. Again, Google wants to rank popular websites. Find your point of difference and then attack it with a vengeance. You know, it’s funny. In 2007 I wrote a post about surviving the affiliate evolution and every year I go to update it and realize I’d still give the same advice. You become a brand when people decide you’re one. There’s a great book on this topic called “Brand is a Four Letter Word.” I highly recommend it. 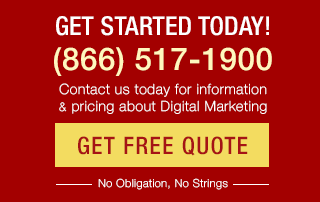 KK: What advice would you give to someone looking to build an affiliate marketing business? Are there characteristics that make someone a better affiliate marketer? RH: Be willing to learn. Be willing to work. Be willing to do whatever work needs doing. Be willing to fail. Never stop learning. Never stop failing. And remember that “passive income” comes after “years of hard work.” If you’re looking for easy money, you’re going to be very disappointed. I think busy minds with a talent for multitasking make the best affiliate marketers. KK: What does an average day in your life look like? RH: It depends on the day, aside from being up early and going to bed early, lol. Some days I’ll pull a 15-hour day, head down at my computer. Other days, I’ll go shoot pool at noon. I don’t think I have a standard day haha. I am a mom of four. We have football, baseball, guitar, basketball, horseback riding … Somewhere in there I have to fit in getting to the gym (if at all humanly possible) a few times a week. I also enjoy gardening, decorating and hosting parties, so I find ways to make time for those. I also almost never go a single day without educating myself in some way about something. I avoid phone calls like the plague. But I don’t want to create this false vision of the freedom I have as if it didn’t have a decade of hard work before it. I’ve never worked for money wealth. I have a much bigger interest in time wealth. And I’ve worked very hard to obtain it. KK: What are you top three most visited websites, besides the ones you own? RH: They’re all social, LOL. Facebook, Twitter, and Pinterest. If you’re asking for non-social sites, I’d have a hard time giving any that I visit on the regular. I’m a drifter. KK: What’s your current smartphone OS and device? What are your five most-used apps? KK: If the Internet shut down tomorrow, what new career would you choose? RH: If I still needed or wanted to make bank, I’d probably be a real estate broker. I love the potential of not only earning money off what I sell, but also in having a ton of “sub-affiliates” (realtors) underneath me giving me a cut of their sales, too. Otherwise? I’d probably be a farmer. Huge thanks to Rae Hoffman for sharing her insights on link acquisition – her “in the trenches” approach is an inspiration! For more lessons from SMX speakers, check out the other interviews in our SMX West 2015 Speaker Series? Over the past month, we’ve interviewed Experian’s Bill Tancer, Bing’s Duane Forrester, Google’s Gary Illyes, SEO by the Sea’s Bill Slawski, Bruce Clay, Inc.’s Mindy Weinstein, HubSpot’s Luke Summerfield, aimClear’s Marty Weintraub, Alliance-Link’s Debra Mastaler and Moz’s Pete Meyers. Our final interview with Stone Temple Consulting’s Eric Enge comes out tomorrow! YES! Kristi will love this comment. She puts a lot of thought and effort into making her article headlines engaging with a lemon zest of pun on the side. Your pun comment has made my day, and I know it will make hers as well. Hey Kristi You Smoked this post. You Rocked ! Thanks for this marvelous post.